In the 1930’s, an interesting natural cancer treatment was proposed as a simple, effective answer to cancer – almost any cancer. This treatment approach is not well known because it is considered alternative or experimental – or even dangerous[i] – by the medical and scientific community and hence has been referenced primarily in obscure publications outside the mainstream press. The alkaline diet, which is primarily plant-based and avoids sugar, dairy, wheat and other high-gluten grains as well as an excess consumption of fruits, while emphasizing fresh vegetables and vegetable juices along with cruciferous vegetables and greens, changes the body’s intracellular pH to come close to the ideal blood pH of 7.3/7.41 – a key metabolic accomplishment on the path to longevity whether you have cancer or not! An alkaline diet based on vegetables and fruits creates a less-than-optimal environment for cancer proliferation, while at the same time strengthens the immune function and supports healthy cells in the body through improved nutrition. The second step is to use some nutritional mechanism to move the internal cancer cell pH from the optimal mitosis range of pH 6.5 to 7.5, to above 8, which shortens the life of the cancer cell. As described by its proponents, alkaline therapy neutralizes the acid waste of the cancer which causes so much pain, interferes with the anaerobic fermentation of glucose that starts the self-feeding acidic cancer wasting cycle called cachexia and in time, can induce remission. If this theory of alkaline therapy holds true, it should be possible to address cancer without chemotherapy, radiation or surgery and use alkaline therapy as a primary cancer treatment. This bold statement comes from a somewhat abstruse body of research. In the 1880’s, Louis Pasteur published his work on cellular aerobic respiration and glycolysis. In 1931, Otto Warburg won the Nobel Prize for his work on the metabolism of tumors and the respiration of cells, which was later summarized in his 1956 paper, On the Origin of Cancer Cells. His work on cancer expanded upon Pasteur’s findings and described respiratory insufficiency and a cellular metabolism of glucose fermentation as the primary trigger for cancer progression[vii]. Warburg’s work was a catalyst for yet another research effort on the nature of cancer cells, beginning in the 1930’s. A. Keith Brewer, PhD (physicist) performed experiments on the relationship between energized, oxygenated cell membrane and elemental uptake, vs. cellular membranes in an unenergized state such as cancer cells exhibit. He wrote a number of papers discussing the cellular mechanisms of cancer cells and the changes in metabolism induced or indicated by the lack of or presence of oxygen in combination with other elements, particularly potassium and calcium. He noted that cancer cells share one characteristic no matter what type of cancer: they have lost their pH control mechanism. Brewer’s work cites areas in the world where cancer incidents are very low. These areas contain concentrations of alkalizing minerals in the soil and water, which are greater than in other parts of the world. For example, the Hunza of northern Pakistan and the Hopi Indians of the American West share both similar soil and water conditions and diet. The alkaline elemental minerals of cesium chloride, germanium and rubidium are heavily present in the soil and water. Ingestion of these elements is correspondingly high. These peoples also live in similar high, dry climates and grow apricot orchards, traditionally eating the fresh or dried fruit and the seeds each day. It should be noted that apricot seeds are the source of the controversial cancer treatment Laetrile or B-17/Amygdalin. [x] Apricot seeds contain trace amounts of cyanide, which has long been identified as a potential chemotherapeutic agent against cancer proliferation. [xi] Other similarities in the diet include a low consumption of dairy products, meat and wheat, as these foodstuffs are difficult to farm in high, arid climates and a correspondingly greater consumption of millet, buckwheat, nuts, dried fruits and berries in their traditional diets, all of which contain a similar enhanced (though sill minute) concentration of cyanide. This is all very interesting, but what does it really mean for cancer patients who wish to avoid the pain of cancer and the typical course of treatment using surgery, chemotherapy and radiation? What are the conditions that will force cancer cells to change their pH? Conventional chemotherapeutic agents such as Cytoxan usually cause more damage to normal cells than to cancer cells, because cancer cells have a very thick, unenergized cellular membrane that essentially protects them from absorbing many drugs. Normal cells have no such protection. Conversely, cancer cells have no way to normalize their internal pH, where normal cells are relatively unaffected by high concentrations of alkalizing minerals. However cancer cells take up primarily two elements: glucose and potassium. In practical application, then, it is necessary to find a way to guide alkalizing elements – such as cesium, germanium or rubidium – into cancer cells, without impacting normal cells. It turns out this can be done using a transport agent that penetrates the bone/blood barriers, then relying on the normal uptake of alkalizing elements that follow the potassium pathway. Cancer cells appear to have preferential uptake of cesium chloride in particular, but also take up germanium, rubidium, selenium, etc. all through the potassium pathway. There is a compound that is frequently applied to the skin by arthritis sufferers for relief of inflammation, used in brain surgery to relieve intracranial pressure and topically used in sports medicine and veterinary medicine,[xii] also for reducing inflammation. This compound is called DMSO and it is formed in the slurry created from soaking wood chips in water that is a bi-product of the paper making industry. The reason DMSO is so interesting to cancer patients is that, in addition to its anti-inflammatory properties, it is a “carrier agent.” It penetrates the brain/blood barrier and carries with it whatever drug or mineral is mixed with. There is now some interest in the cancer industry in potentially using DMSO to carry chemotherapeutic agents into cancer cells and get beyond their protective membrane. However, for the purposes of changing the alkalinity of cancer cells using cesium chloride, germanium, rubidium and other alkalizing minerals, DMSO and its ingestible form, MSM, are an effective medium. Essentially these agents carry the minerals into all areas of the body including the brain, organs and bone marrow, where they can be used with other nutrients in ordinary cellular metabolism. From this research and subsequent studies, it is now understood that alkaline minerals look to normal cells and to cancer cells like potassium. All cells require potassium to function. The reason cancer cells take up these alkaline minerals is their resemblance to potassium. The remedy to this condition of electrolyte imbalance, caused by replacement of potassium in healthy cells with other alkaline minerals during pH therapy, is simple in practical application. Alkaline minerals are ingested or applied to the skin only during the day. Then before sleep, the user must take potassium chloride supplementation along with other electrolytes such as magnesium and calcium if needed. Monitoring of potassium blood levels every two weeks by a doctor is critical if a cancer patient decides to incorporate alkaline therapy into their cancer regime. When properly balanced, the side effects of using alkaline minerals are greatly if not completely remediated by electrolyte rebalancing. Despite the “fear, fire, foe” tone of Mssrs. Wiens et al in the article cited above[xvii] there is no risk of dying of a heart attack (or leg cramp), unless the patient ignores the proper method using alkaline minerals and is not working in consultation with an experienced specialist. A caution: electrolyte rebalancing cannot be properly implemented by casual methods such as drinking sports drinks, particularly since commercial products are generally full of sugar and artificial substances. Electrolyte rebalancing must be carefully applied using specific doses of supplements, based on your personal blood composition, in consultation with a nutrition expert or endocrinologist. My personal experience with pH therapy has been nothing short of spectacular. I have seen stage four, terminal cancer patients recover using alkalizing minerals. There are patients who report untreatable cancers, such as nasal or fully metastasized breast cancers, which after a very persistent course of tiny doses over several years, eventually disappeared altogether. 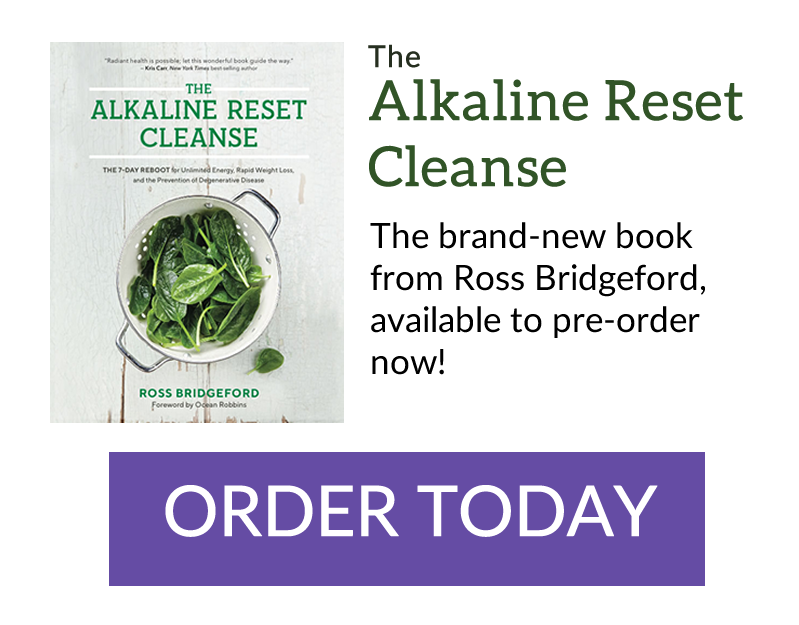 Patients who have never had chemotherapy or radiation often experience rapid remission after changing to an alkaline diet and incorporating the use of alkaline minerals into their regime. However pH therapy using alkaline minerals requires quite a bit of knowledge (do your homework!) and is greatly enhanced with the support of a mineral provider or cancer coach who has the experience to guide you through the process. Many mineral providers sell minerals, but do not have the ability to assist the users. Therefore, it is critical to seek a mineral provider who can provide references to extensive information and is available to help you work through the rough spots – and there will be some! It is my direct personal experience that cancer can be controlled using alkaline minerals. There are thousands of people who have had similar positive experiences. Does it work for everyone? No. However if high pH therapy is properly applied, it works for a very respectable percentage of cancer sufferers – estimated at upwards of an 80% response rate by providers. Significant when compared to traditional therapies. This finding is why I started The Cancer Alternative Foundation – to help cancer patients feel comfortable using effective, natural therapies like pH therapy as part of their overall treatment strategy. The Foundation simply researches and vets the claims of various alternative offerings for cancer – and there are more than 400! To date, we have concluded that high pH therapy is one of the most effective alternatives, particularly for later stage cancers. If nothing else, it is my contention that alkaline therapy could be used in a supporting role to conventional treatment, which will only improve the long-term outcome for patients. It is my hope that this promising and effective natural approach to cancer becomes more accepted by mainstream cancer care providers – as well as those enlightened individuals seeking a natural alternative, who are willing to close their eyes and jump. An alkaline approach to cancer can only help them to enjoy their future – as in having one! Nancy Elizabeth Shaw is a strategist, meta-analyst and Founder of The Cancer Alternative Foundation. Contact information: www.thecanceralternative.org/contact_us. [ix] Cancer: The Mechanism Involved and a High pH Therapy, 1978 papers of A. Keith Brewer, Ph.D. & co-authors, Copyright A. Keith Brewer Foundation, 325 N. Central Ave., Richland Center, Wis, 53581. [xi] Fatma Akinci Yildirim and M. Atilla Askin: Variability of amygdalin content in seeds of sweet and bitter apricot cultivars in Turkey. African Journal of Biotechnology Vol. 9(39), pp. 6522-6524, 27 September, 2010; Available online at http://www.academicjournals.org/AJB; DOI: 10.5897/AJB10.884; 600 mg. of bitter apricot seeds contain up to 1.8 mg of cyanide, where the sweet kernels contain up to .9 mg. of cyanide.